Thank you so much! I think I'll try foie gras with rice next time! Beautiful presentation, and delicious recipe. That plate was gone in 10 minutes! Wait, you going back to Taiwan? which reminds me, in the various HK/China duck houses, "liver" is served, but definitely not foie. 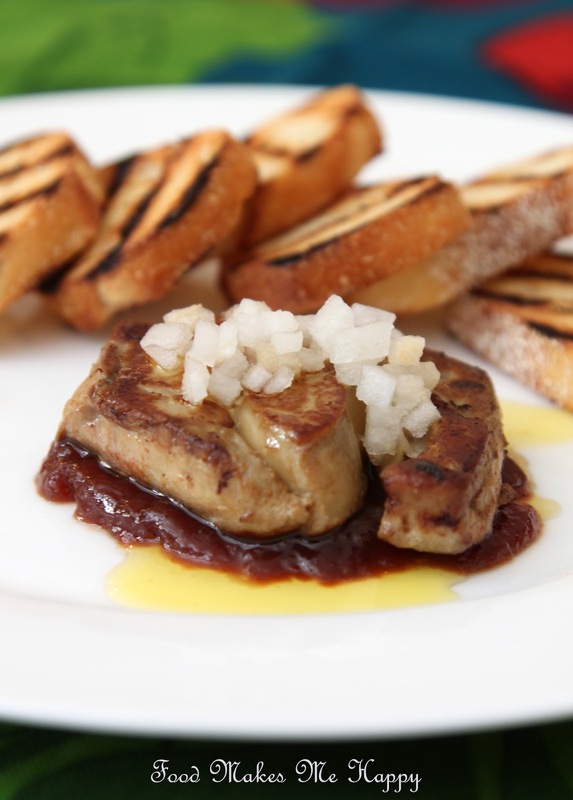 What better country than China to start exporting cheap(er) foie globally? Yeah time to move back, I'll probably come visit the state like twice a year though. Hope everything will work out just fine. What? You are moving back to TW? Yeah...it's been so many years, time to go home! Hopefully I can still fly back and forth once a while though (for my little vacation! ).